Individually alarmed offices, with 24 hour access to the building! 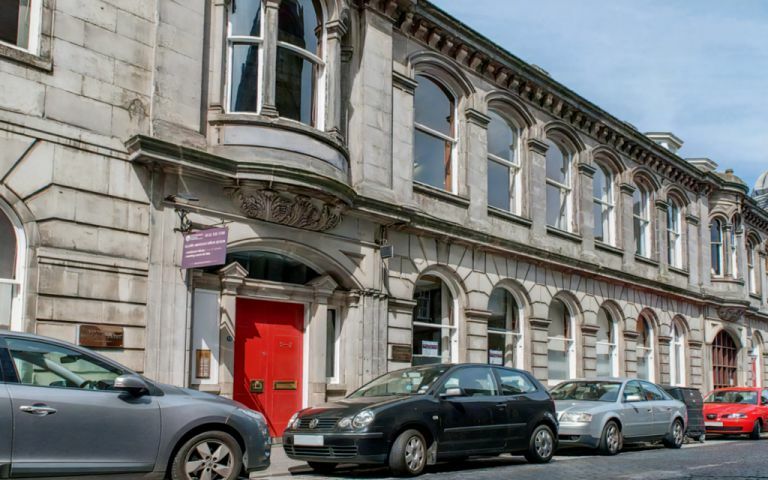 Formally a bonded warehouse and shipping office our Edinburgh serviced offices have been fully refurbished to a high standard and offers fully serviced office space on flexible license agreements. Services available include high speed broadband, advanced phone systems, conference and meeting rooms on site as well as reception services and secretarial support. All offices are individually alarmed, with 24 hour access to the building. Pricing starts from £130 per person. Located in the Leith area of Edinburgh, five minutes from the Scottish Executive and Ocean Terminal. The area features excellent public transport and there is free on street parking in the vicinity of the offices. Sandwich bars and coffee shops are all within walking distance.